On Monday April 9, 2018 MMM team member Hemmo Bruinenberg hosted two workshop sessions at the annual teachers day that was facilitated by LOWAN. LOWAN is the national support organization for secondary schools that provide education for young migrants who recently arrived in The Netherlands (Internationale Schakel Klassen onderwijs / International Transition Classes education). 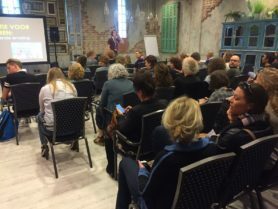 Over 50 teachers joined the 1-hour workshops in which Hemmo presented the principles of our tailor-made media literacy program for young migrants in The Netherlands. 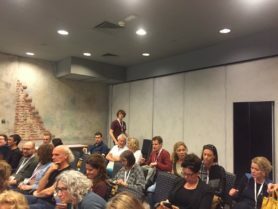 He explained that most existing Dutch media literacy education programs seem to target children and young people as an unspecified homogeneous category. 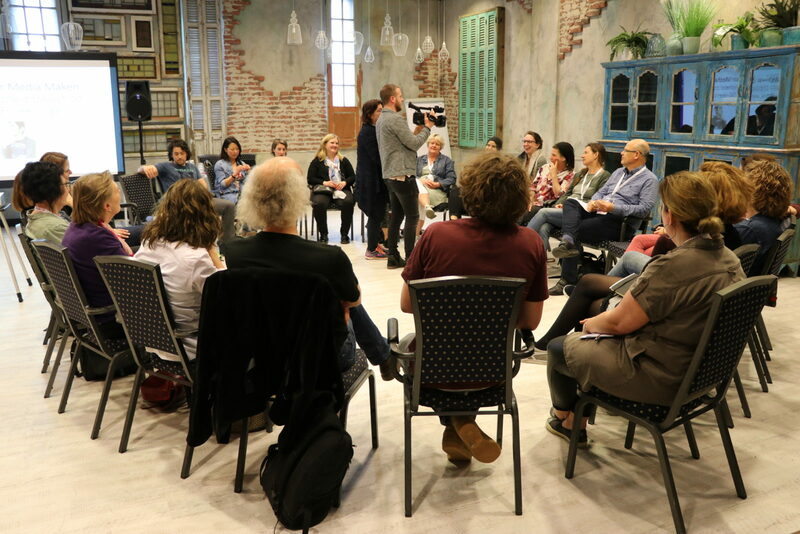 Hemmo illustrated the participatory and social-justice oriented approach of MMM by making the teachers participate in the short exercise ‘The Name Game’ and by showing our short ethnographical video of the pilot project at Ithaka Internationale Schakelklassen. to learn. They could see the students in the pilot where engaged, conscious and enthusiastic while working on the assignments and discussing the media topics in the classroom. The video showed the possibility to make students think critically and reflect on media-related topics. The teachers also noted it also enables the students a chance to reflect on their Dutch language development as they can listen to their recordings and become more aware of their own pronunciation of Dutch words. The participants also mentioned the positive perspective on media in the program, as the approach is more about chances then about risks when using or making media. They are aware of the fact that we can’t do without media anymore. So better use it wisely to enable the pleasure of learning. Most questions that arose from the workshop referred to safety issues. How do I, as a teacher, guard their privacy regarding the videos that are made? How do I prevent students recording a video of a classmate and sending it to others by social media, without permission of the person in the frame? What if they film in pairs and the one doing the camerawork, is using the other students smartphone? 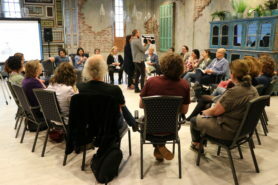 The workshop participants agreed on the fact that this group of young migrants in particular, needs their smartphone even more than other youngsters, as it is their lifeline to loved ones who stayed behind or to family members that are depending on them as Dutch language interpreters. These young people are often very tired in class, because during night hours, they have been communicating with loved ones in their home countries. Or they have to leave the classroom to make a phone call to their parents and loved ones at that exact moment who depend on certain Wi-Fi spots in remote areas. But this personal urgency also enables an interesting entry point to teach and learn and to involve parents in the process of becoming media literate. The input of the participating teachers strengthens us in our vision on the importance and urgency of making a tailor-made media literacy programs for young migrants. Teachers showed great interest in the outcomes of our research on the possible impact of this media literacy program. In collaboration and co-creation with teachers and students, we will continue to work on a custom made critical media literacy curriculum.